Choose from our wide range of ready packs or select the products you'd like and get them gift wrapped, packed and delivered to your door! Do you know someone who could benefit from using our top quality aloe vera products everyday? This pack contains a great range of personal products to keep you feeling healthy and invigorated - 11 products, all you need to make an easy switch to a premium brand. This is a fantastic gift that will suit everyone and is a great idea for those ladies who might be difficult to buy for or have everything! Aloe-Jojoba Shampoo -Get beautifully shiny and easy-to-manage hair with this aloe vera and jojoba oil-infused shampoo. This gentle PH-balanced formula is suitable for all hair types and can be used to help replenish your hair's natural moisture. Aloe-Jojoba Conditioning Rinse - Contains jojoba and vitamin B to help nourish, protect and strengthen the hair. This PH-balanced conditioner gives hair a silky, salon-look finish. Enriched with nourishing oils and vitamins, this product provides a fantastic result when used in conjunction with the Aloe-Jojoba Shampoo. 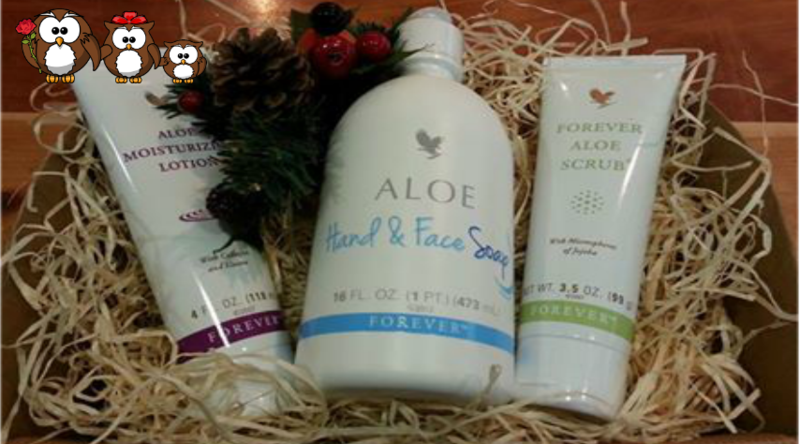 Aloe Hand and Face Soap - Rich and creamy moisturising liquid soap, perfect for the entire family. Forever Aloe Vera Gel - Pure stabilised aloe vera gel which is as close to the natural plant juice as possible, containing over 200 different compounds. This rich source of nutrients provides the perfect supplement to a balanced diet. Drink to promote a healthy lifestyle and wellbeing. 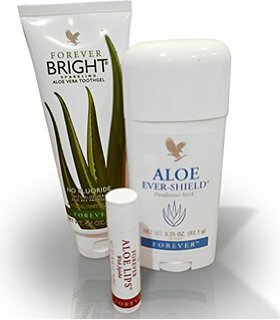 Forever Aloe Ever-Shield Deodorant - Aluminium free - provides effective, all-day protection. Gentle, powerful, non-irritating and does not stain clothes. Aloe Propolis Creme - A rich, creamy blend of aloe vera, bee propolis and camomile to help maintain healthy, beautiful skin tone and texture, with moisturising and conditioning properties. The Aloe Propolis Creme makes an excellent everyday moisturiser and helps to soothe irritation. Can be used on face and body and doubles as a fantastic hand cream. Is suitable for people prone to eczema and psoriasis. Aloe Moisturising Lotion - Silky, moisturising cream containing nourishing aloe, jojoba oil, collagen and elastin to leave the skin feeling soft and supple. Provides all-over moisurisation for your face, hands and body whilst maintaining the skin's natural PH balance. Aloe Vera Gelly - As close as you can get to the inner leaf of the aloe vera plant, Aloe Vera Gelly contains 100% stabilised aloe vera gel to soothe and calm irritated skin. 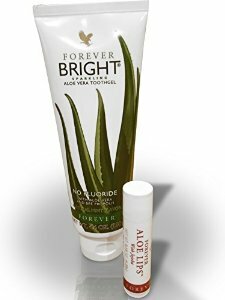 Forever Bright Toothgel - This gentle, non-fluoride formula contains aloe vera and bee propolis to help to protect teeth and gums. With no bleaching agents, children and adults will love it! Aloe Lips x 2- Rich, nourishing, pocket-size balm. Soothe and moisturise dry lips with the conditioning ingredients of aloe, jojoba and beeswax. Have kissable lips all year round! Gifts for her for daily skincare - includes cleanser, moisturiser and gentle scrub. Aloe Moisturising Lotion - Daily moisturising lotion, can be used for body also. This is a rich, creamy lotion which combines our 100% stabilised aloe vera gel with jojoba oil and also collagen and elastin, essential components for great looking skin. 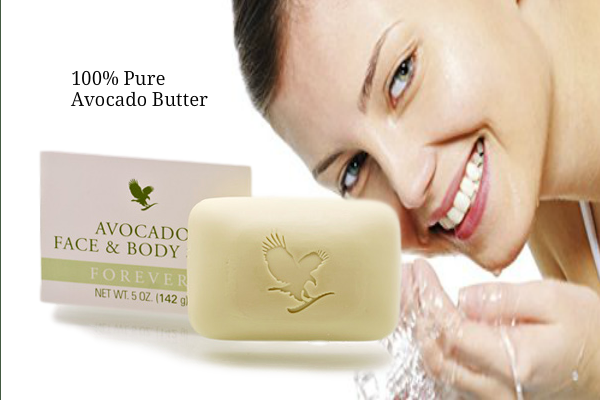 Aloe Hand & Face Soap - Rich, creamy, cleansing soap which is a mild formulation. Also contains moisturising agents which help to keep the skin hydrated. Fantastic as a shampoo for babies and children or used in baths. 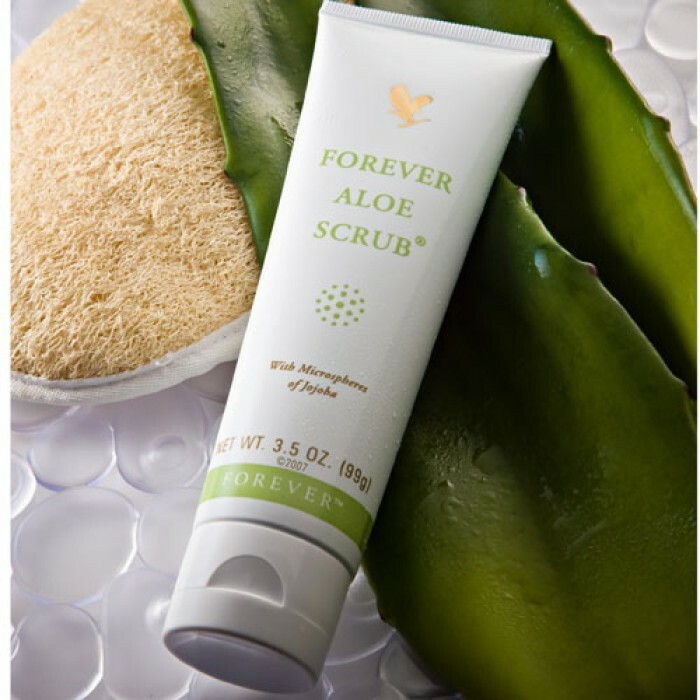 Forever Aloe Scrub - Gentle, natural exfoliating scrub for face and body. Unique combination of aloe vera gel and jojoba beads, this is gentle enough for every day use. Clearing the skin of debris that collects in the delicate pores allows for new skin cells to come up to the surface. 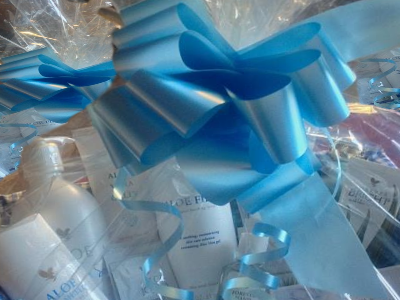 If you really want to give a gift that will be appreciated - treat her to a gift of Aloe Nourishing Serum. This is a luxurious, moisturising serum for daily use, combining only the finest ingredients to really pamper, conditioner and moisturise skin. This is the moisturising serum from the Forever Sonya Skin Care Collection, our most luxurious range formulated with the latest ingredients in skincare. Available to purchase alone (add an aloe vera lips for €50) OR if you would like to surprise the lady in your life or just give something extra special, the complete collection includes 5 products that form a complete skincare regime. Forever's Sonya Skin Care products are of the highest quality and are formulated using only the finest ingredients. These night and day creams are from our Aloe Fleur de Jouvence Collection. They are available to purchase separately or here together for example, for €53. Both are rich and velvety and provide nourishment for the skin to keep it well hydrated and moisturised. Our stabilised aloe vera gel forms the base and in addition to a range of other ingredients, they contain collagen and elastin, needed to maintain good skin structure and help to protect the skin from environmental hazards. This combination of night and day creams make a fantastic gift for any woman who likes to look after her skin and appreciates quality. Suitable for all all ages. Fantastic Products For Taking Care of Your Skin & Lips. Ideal gift for any Mum, any age - or daughter. Also a great present for a good friend or a really helpful work mate! 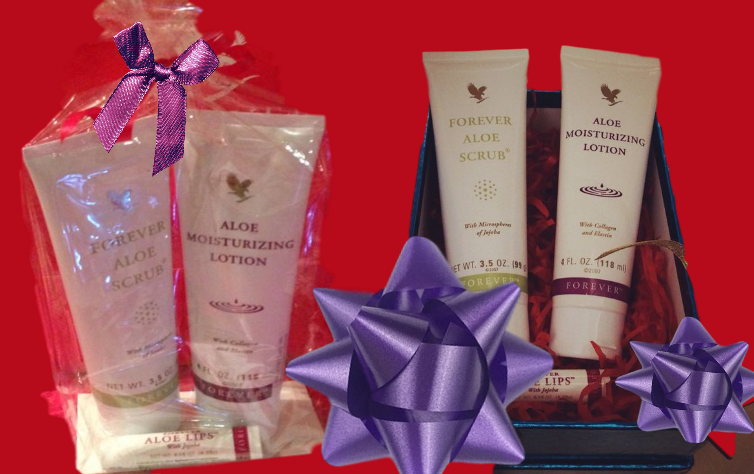 This gift pack consists of Aloe Moisturising Lotion, which we've looked at above and is also one of our most popular products, and Forever Aloe Scrub, a gentle exfoliating scrub for face and body comprising of a unique combination of aloe vera gel and jojoba beads. Aloe lips completes this set for daily lip protection. Aloe Vera is an adaptogen so our skincare products are suitable for all skin types. 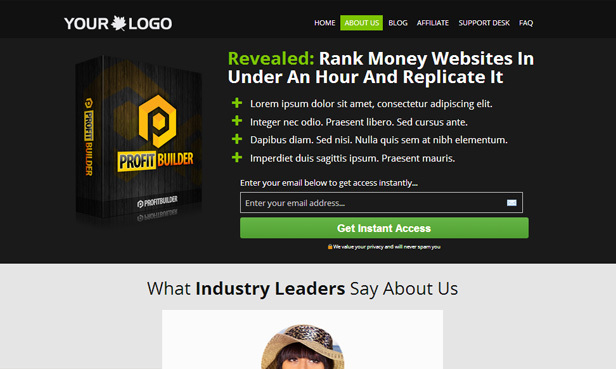 Whichever you choose depends on your personal choice and budget. 6. Eyecare Gift Pack - Mum's Are Sure To Love! Take care of your eyes with Forever Alluring Eyes - our rejuvenating under eye cream, formulated using modern technology to reduce the appearance of fine lines and wrinkles. 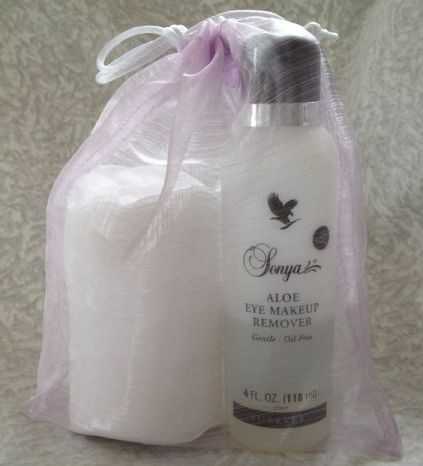 Contains vitamin E which helps to condition the delicate area under the eyes. 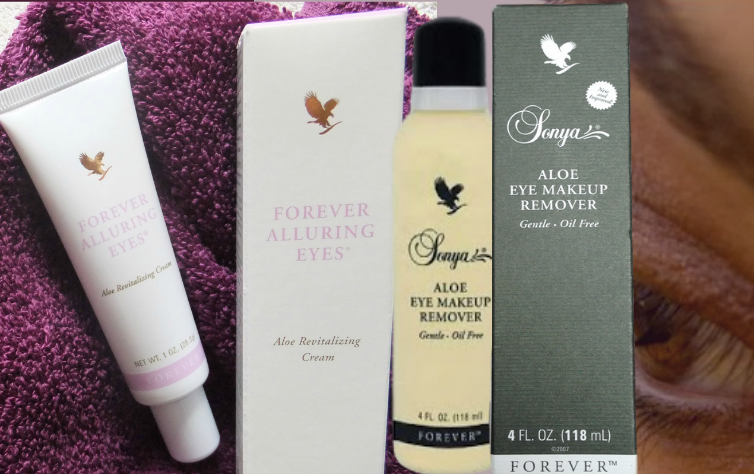 This gift idea includes the Sonya Aloe Eye Make-Up Remover which is a unique, oil-free formulation that works gently to remove eye make up while also moisturising and conditioning the lashes. 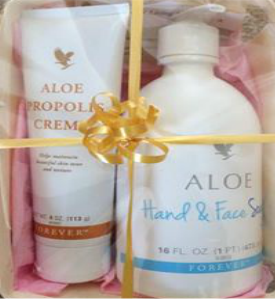 Aloe Propolis Creme - Excellent skin moisturiser and conditioner. Propolis creme is a rich blend of Stabilised Aloe Vera Gel, vitamins A and E, herbs and Bee Propolis, a natural antibiotic. Particularly suited for dry skin conditions - use on face and body, ideal as a rich moisturising hand cream and feet just LOVE propolis! Aloe Hand & Face Soap - Rich, creamy, cleansing soap which is a mild formulation. Also contains moisturising agents which help to keep the skin hydrated. Fantastic as a shampoo for babies and children or used in baths. Guys love to shave with it! Aloe Vera Gelly - This is essentially identical to aloe vera's inner leaf. It is one of our most versatile products since aloe vera contains humectants and moisturisers. This gel is quickly absorbed and wonderfully soothing. 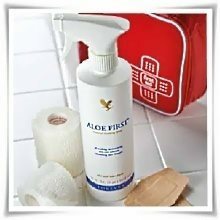 Can be used where any first aid application is required including itching, swelling, pain, inflammation and soreness. Expertly blended, the delicate summer scent of petals, with warm musky wood tones creates a unique and floral fragrance to capture the essence of femininity. Great skincare package to really moisturise and clean the skin. Scrub and moisturizer can be used daily to keep the skin soft and supple and the addition of the marine mask about 2 to 3 times per week can help to balance the skin, restoring and replenishing moisture and natural texture. Aloe Moisturizing Lotion - Unique lotion with outstanding humectant and moisturising properties. Contains collagen and elastin, ideal for moisturising and restoring the skins silky feel. 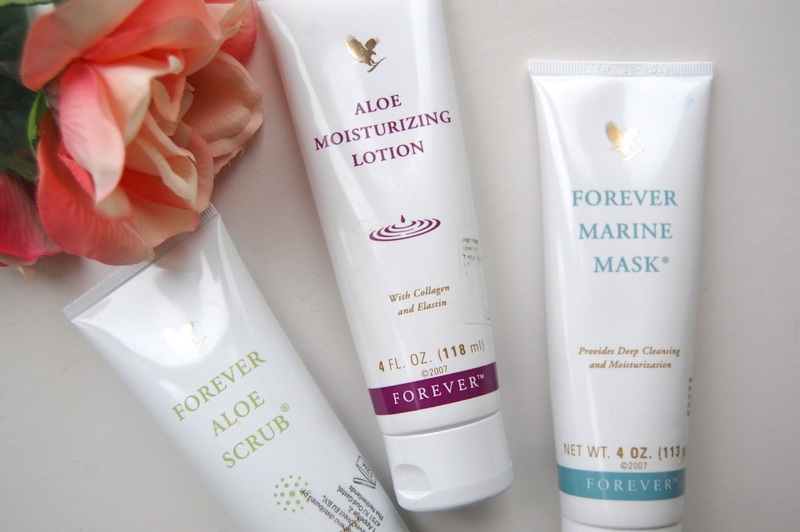 Forever Aloe Scrub - gentle, natural scrub for face and body. Forever Marine Mask - provides deep cleansing and moisturisation. Contains natural sea minerals such as sea kelp and algae plus honey and cucumber extract. Easy to apply, penetrates deep and will leave your skin feeling refreshed and revitalised. 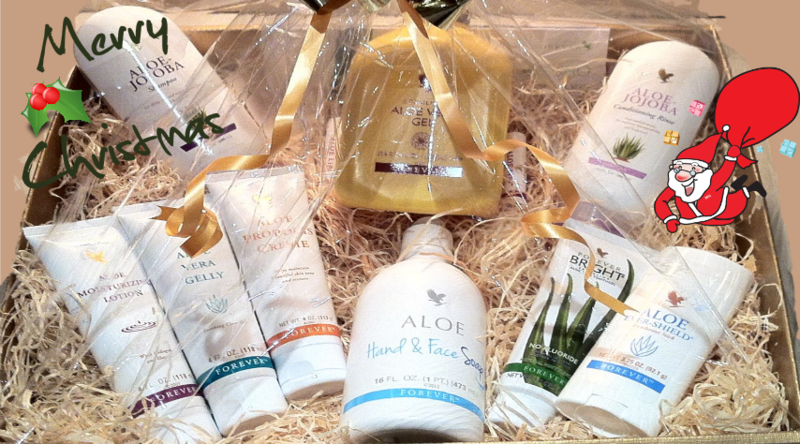 We've already looked at the Aloe Moisturising Lotion and Aloe Vera Gelly which are a fabulous combination of products. 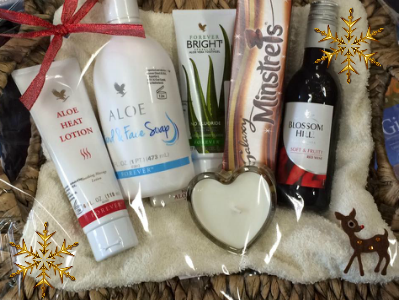 This gift set includes Aloe Heat Lotion which combines aloe with warming agents. This is great to have on hand to provide relief from everyday stresses and strains. Use for warming up the muscles before exercise and soothing aches after a workout. Perfect for a deep heat massage and can also be used on the temples to help relieve stress or headache. 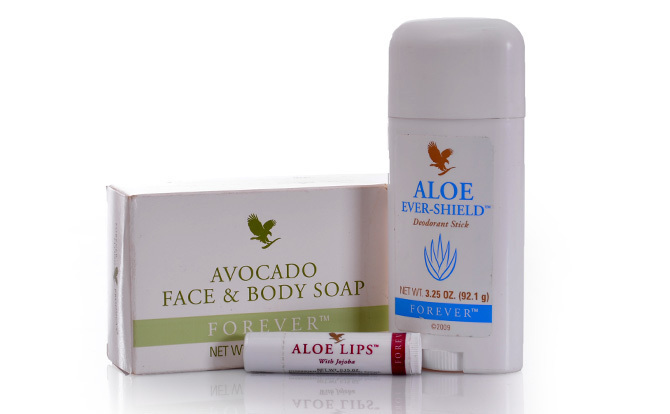 Also included is Aloe Lips and Forever Hand Sanitizer in a convenient size for handbags or schoolbags. Stocking Filler Ideas For All Ages! Know Someone Who Needs a Boost This Christmas? How about an extra boost this Christmas? 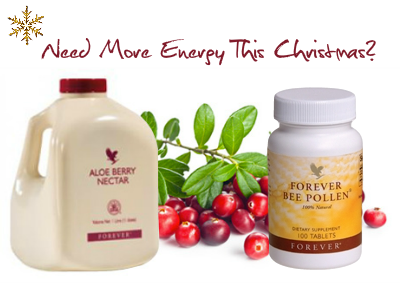 This gift idea is one bottle of Forever Aloe Berry Nectar and Bee Pollen Supplements. This is a fantastic nutritional drink combining our Stabilised Aloe Vera Gel with apple and cranberries for a delicious tasting drink. Bee pollen is a superfood, and an all natural supplement, water soluble. Take for extra energy. Ready for a break this Christmas? Stock up on nutrition! This gift is one bottle of Forever Aloe Vera Gel and Royal Jelly Supplements. This drink is approximately 96% - 97% pure Stabilised Aloe Vera Gel - as close to the natural plant juice as you can get. 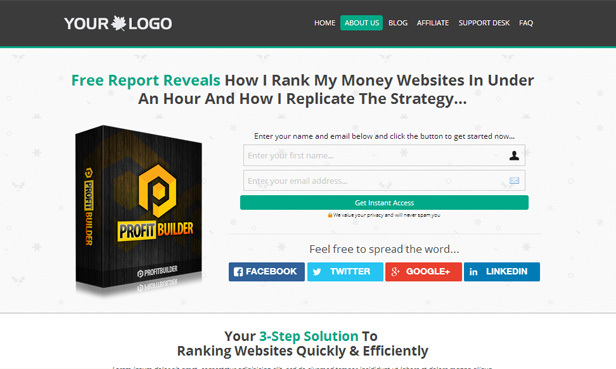 Rich source of nutrients with over 200 compounds. Royal Jelly is another superfood from the hive with many health benefits reported. We've looked at some of our skincare products - now how about looking after the skin from the inside out with our 3 pack Aloe Berry Nectar nutritional drinks. Berry nectar has the added benefits of cranberries and apple, providing the antioxidants needed to fight against the damage caused by free radicals. 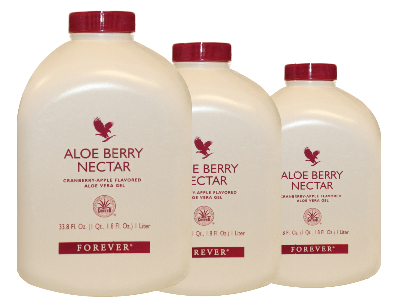 All of our nutritional drinks contain 100% pure stabilised aloe vera gel. This is the drink of choice for healthy skin and is a great idea for a Christmas gift. After all, good health really is a gift. This pack incorporates Forever's cornerstone product, Aloe Vera Gel with four other synergistic supplements. Incorporate it into your daily routine for that feeling of ultimate vitality. If you really want to give the gift of health this Christmas, this is the best supplement pack you can get. It includes Aloe Vera Gel, which is a fantastic source of rich nutrients, Forever Probiotic, probiotics are vital for good gut health, Artic Sea, fatty acids source, ARGI+, for cardiovascular health and Forever Daily, source of other minerals and nutrients. Forever Living have been in the health and wellness market since 1978 and everything they do has the best interest of this market in mind. Forever have their r own research and development laboratories and are market leaders in their field with their own health experts on hand. Feel free to google any of the products listed for a better understanding of ingredients and how useful they can be. Some Sample Gift Baskets - No Basket Too Big! Luxury Relaxation Massage Lotion from our Aroma Spa Collection (see Beauty page). This is the equivalent of our luxurious Sonya Serum for the body. Combining the soothing and conditioning benefits of aloe vera with white tea and rich oils of lavender, bergamot and sunflower seed, this is the perfect treat for anyone to relax. Aloe Lips included. What better way to unwind that with a nice cup of Aloe Blossom Herbal Tea - soothing, refreshing and caffeine free. Naturally low in calories, delicious warm or served with ice. Get back your inner sense of calm and well-being. 25 individually foil-wrapped sachets. 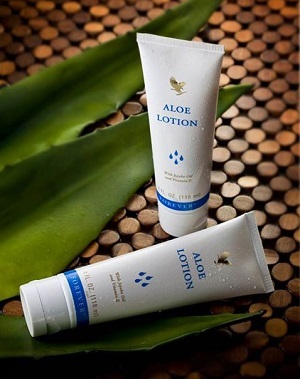 Use the Aloe Heat Lotion to relieve the stresses and strains of the day. Use for a deep massage or added to a foot bath or rub a little on the temples or wrists. Basic personal care pack and a nice change from the usual toothpastes and deodorants. Our toothgel took 7 years to bring to market, which demonstrates the research and development that goes into Forever's products. The aloe deodorant is non-sticky and pleasant smelling - lasts a long time. 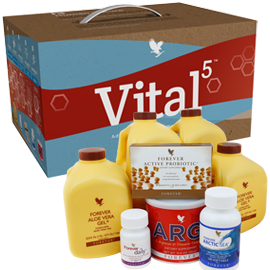 Great pack for anyone - including teenagers! Love your skin with this cleanser and toner set. Perfect give for teenagers! 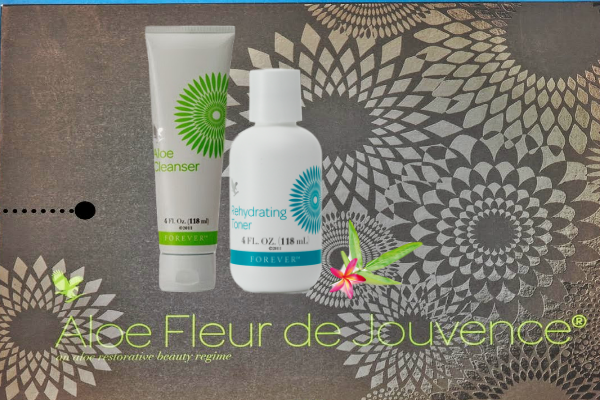 This cleanser and toner combination is part of our specialist skincare range, Aloe Fleur de Jouvence Collection,which translates to "flower of youth" they are also available to purchase individually. The cleanser is gentle and exfoliating, non-greasy and non-irritating. It is PH and moisture balanced and is a great product to use in the daily care of skin. Toner is alcohol-fee, light and fresh. This gift pack idea is suitable for all ages and is a really nice gift particularly for teenagers who want quality skincare products. Our products are uniquely formulated with stabilized aloe vera gel as the primary ingredient! 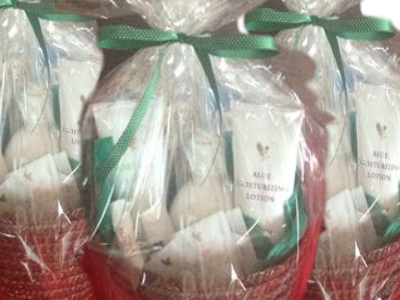 ** Aloe Lotion** €17 - Moisturizer for face and body with rich, nourishing ingredients to keep skin smooth and supple. Suitable for people prone to eczema and psoriasis and great as an after sun. Contains lanolin. ** Forever Aloe Scrub** €18 - Natural scrub for face and body - gentle enough for every day use and strong enough to clear away dirt and grime that can build up in the skins delicate pores. Aloe vera and jojoba oil micro beadlets clear the way for the skins natural renewing process. 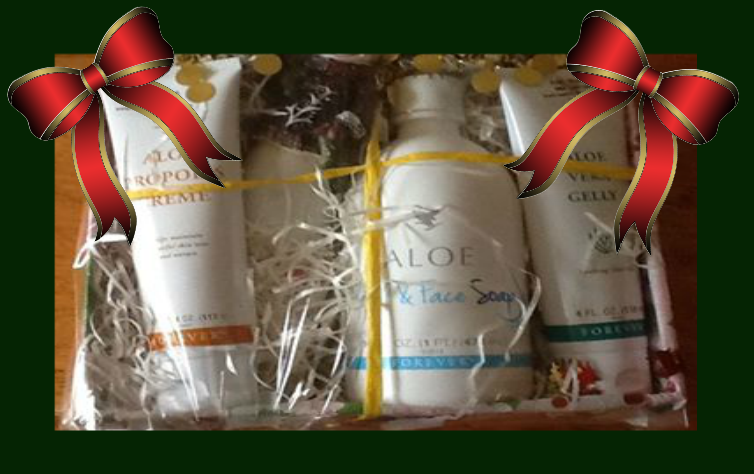 ** Gift Idea ** €19 - Avocado Face and Body Soap, non-drying, Aloe Ever-Shield Deodrant and Aloe Lips - great pack for personal care. ** Forever Bright Toothgel and Aloe Lips ** €12 - Aloe Vera and Bee Propolis combine to help protect teeth and gums whilst fighting plaque. Non-flouride formula. Aloe lips is always a handy lip balm to have on handy for kissable lips all year round.